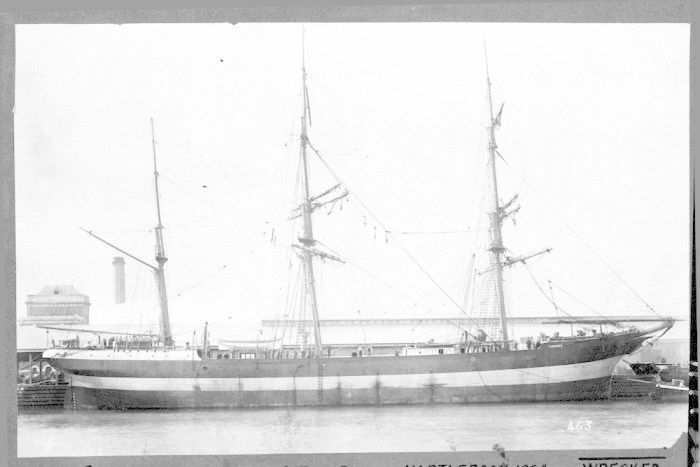 The Carlisle was built in England in 1864 and had a crew of 23, who all survived the shipwreck. Scientists scanning the bottom of Bass Strait in a “lawn-mowing” operation have stumbled on an 1890 shipwreck and uncovered more than they expected. The CSIRO has released footage of the wreck, which was first detected last year as a “blip” in waters between Tasmania and Victoria. The footage comes from scientists onboard the research ship Investigator as it makes its way down Australia’s east coast, surveying more wrecks along the way. After last year’s discovery, volunteers from the Maritime Archaeological Association of Victoria visited the site and identified it as the barque Carlisle. “When it got to Newcastle it was intended to pick up coal and take it to South America,” he said. 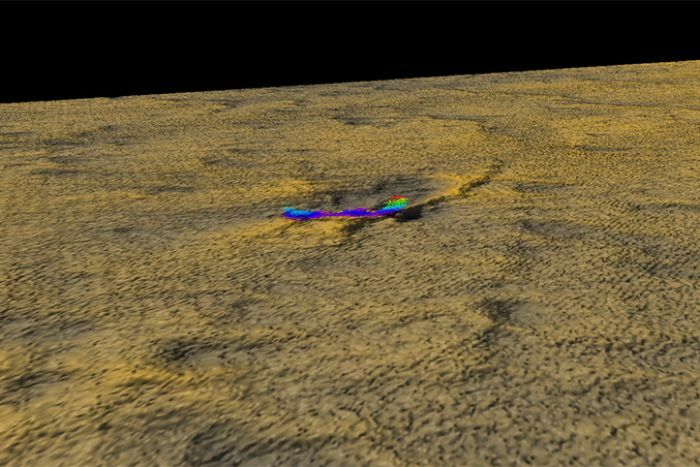 A digital image of the wreck discovered while ‘lawn mowing’ the sea floor. “One [boat] had most of the crew and it headed for Port Albert, but it missed and ended up about 26 miles down the 90-mile beach towards the east,” he said. Mr Harvey said a marine inquiry later exonerated the ship’s captain of any wrongdoing. “The marine inquiry found that the captain did everything right and he had probably hit an uncharted rock that was about seven miles east of Crocodile Rock,” he said. “If [it did], that rock would be currently in the main shipping lane between Melbourne and News South Wales today. Matt Boyd and Emily Jateff were involved in the discovery by Investigator. 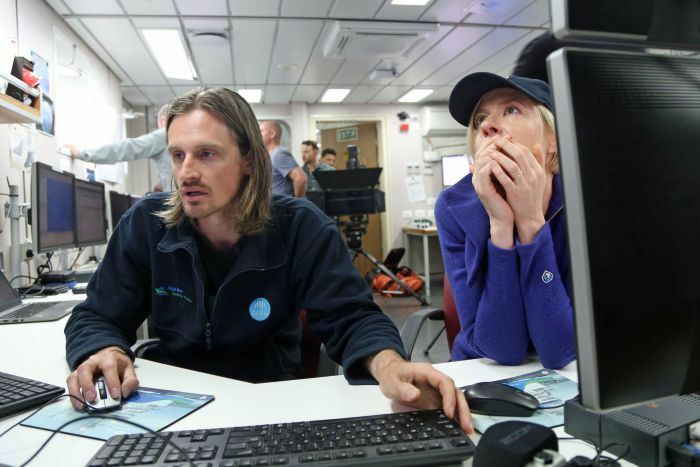 CSIRO hydrographer Matt Boyd, who discovered the wreck while on an Investigator voyage last year, said it appeared as a “blip” while he was conducting routine mapping of the ocean floor. “The way this survey works, it is very monotonous kind of stuff, very repetitive, we call it ‘mowing the lawn’,” he said. “We are sort of going back and forth for long periods of time over large areas of seabed. “We just happened to go over this blip and we noticed it and thought ‘oh jeez that looks just a little too much like a shipwreck’ and so we did a little bit more investigating and looked at it digitally. “The condition is degraded but as an archaeological site it is intact, so really important to us to give us an opportunity to look at a site that hasn’t been disturbed before,” he said. 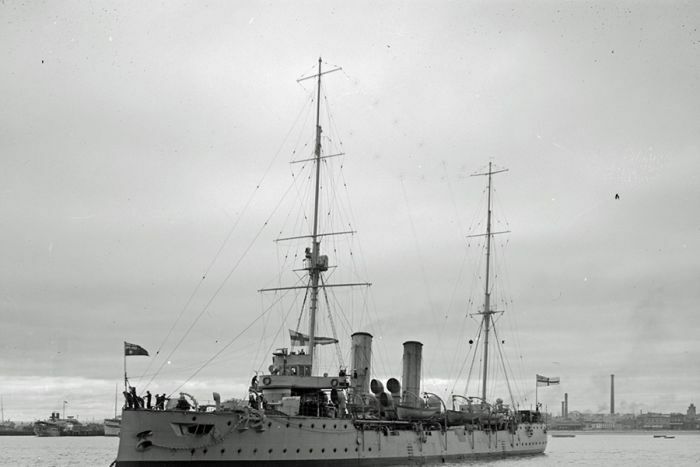 HMAS Pioneer was scuttled off Sydney Heads in 1931. Image supplied State Library Victoria. 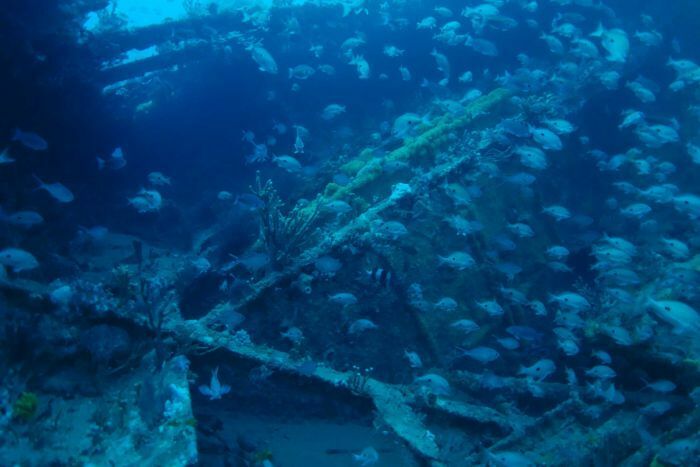 The Australian National Maritime Museum’s Emily Jateff, who was on board the voyage to help with the shipwreck mapping, said the unidentified wreck was an exciting find. “RV Investigator has the capability to do a close resolution multi-beam survey which allows us to located shipwrecks in almost a single pass,” she said. “The wreck is at this point pretty unidentified. We have vague dimensions — about 67 metres in length and about 11 metres across. Want to learn about more of our amazing discoveries? Educator on Board is a professional development program for Australian STEM teachers and has two teachers in the thick of the action on the current voyage. Follow the voyage action through the eyes of our Educators on Board! There are 4 or 5 Catalinas that were flown and landed in the ocean about 10 Nmiles west of Rottnest WA, charges were fitted to the floats and they quickly sank in very deep water. Location reasonably well known crews, were recovered by waiting chase boat. Why did the ship sink if there is no rock in that position? Love these mysteries from the depths. I guess finding the dumping ground of surplus WW-11 aircraft, most likely scattered over a long distant, would be somewhat different to a ship wreck. There was at least one aircraft carrier load of aircraft dumped somewhere in Bass Straight. Always wanted to know the answer of where.